The Mercedes GT-S AMG is a pure beast once the ECU is tuned on these cars. The horsepower goes from 503bhp to almost 615bhp on 93 octane. 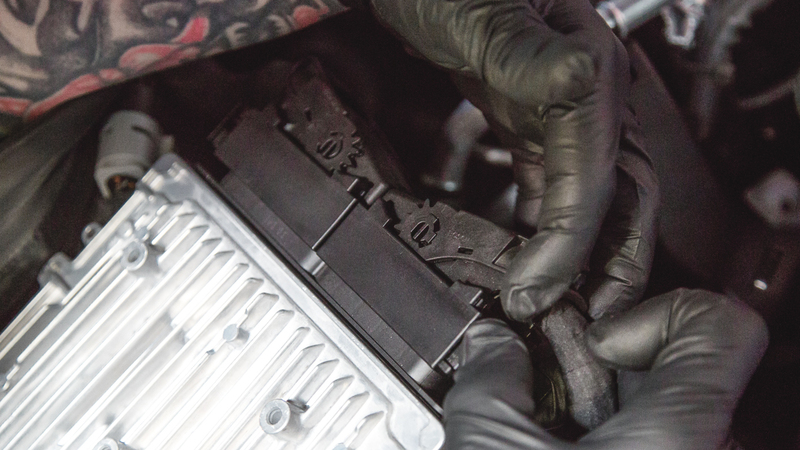 Torque is even more massive going from 479ft/lbs to 585ft/lbs on the 4.0L V8 twin turbo. 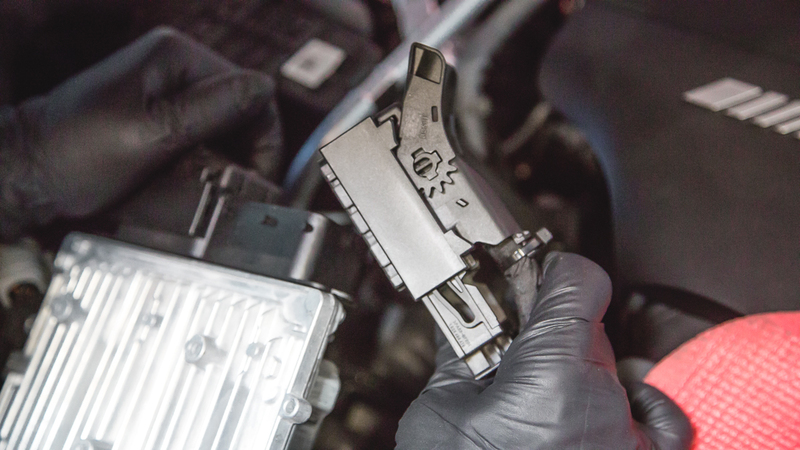 To tune these new Bosch MED17.7.5 ECU requires them to be bench flashed and unlocked. To do this you must have the right equipment and experience that VR Tuned has. 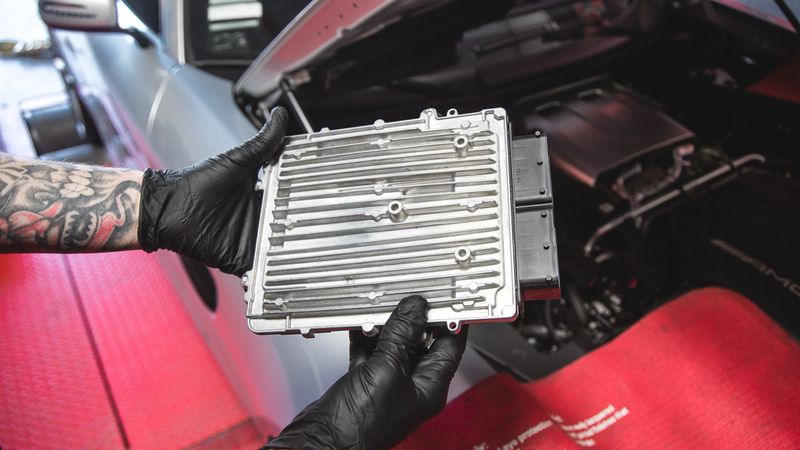 The first part step to get your ECU tuned is to remove it from the car. 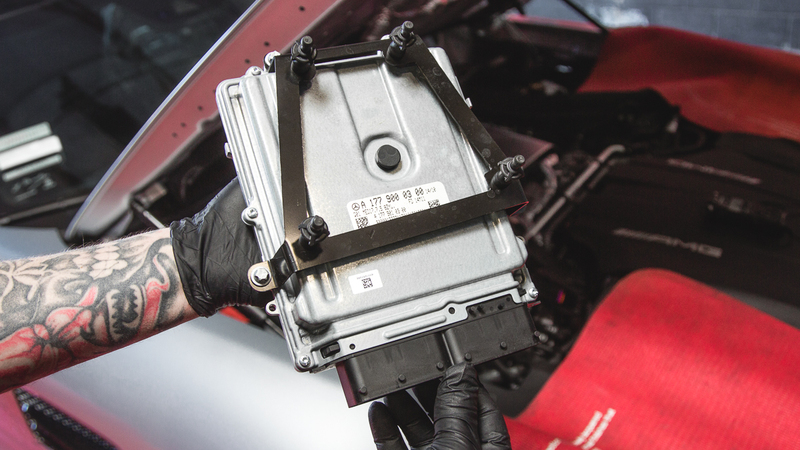 Here are some simple instructions on removing the ECU to send it in for tuning. Park your car and cover the passenger fender well so you dont damage it with any tools or leaning on it. 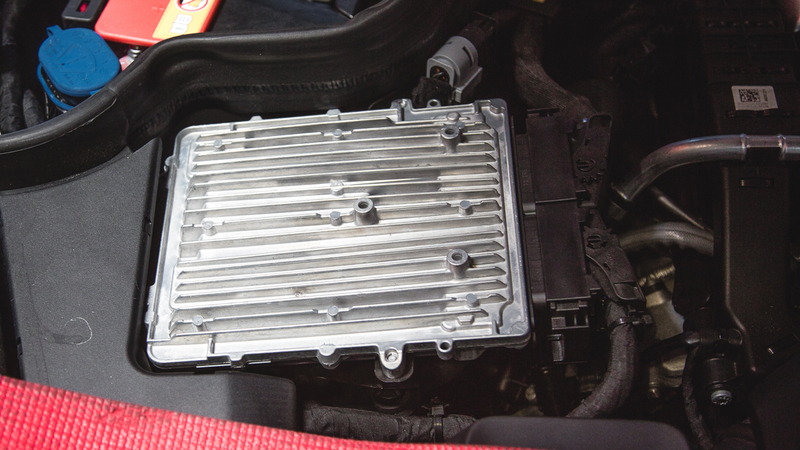 Locate the ECU which is right next to the window washer fluid resevoir. 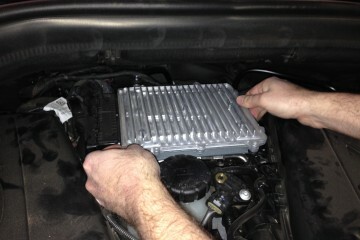 The ECU is held in place with little plastic ball towers. It easily lifts up and out with a slight tug. 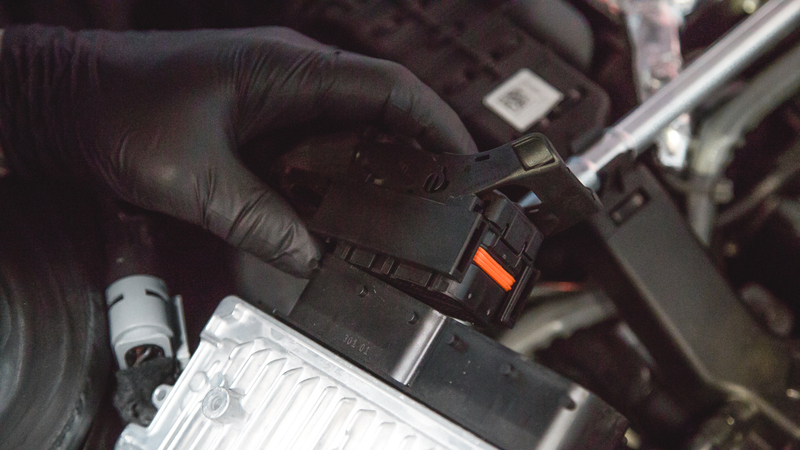 Unclip the ECU harness by sliding the clip from the plugs on either side away from the ECU. The harness plug will then popup. All done, the ECU is out and ready to be shipped to Vivid Racing to be tuned! You can remove this back bracket for more easy shipping and packaging. 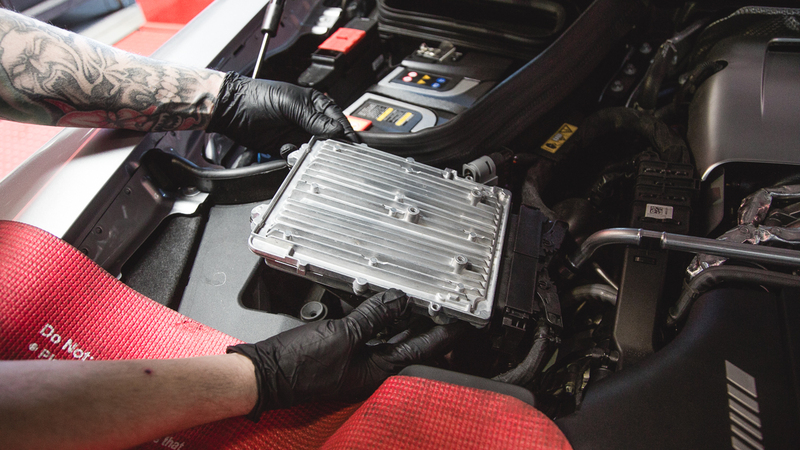 Mercedes C63 4.0L Turbo ECU Tuning Box Kits Released!